SeaSnax is the ideal crunchy, delicious and nutritious addition to any lunchbox or snack bag. 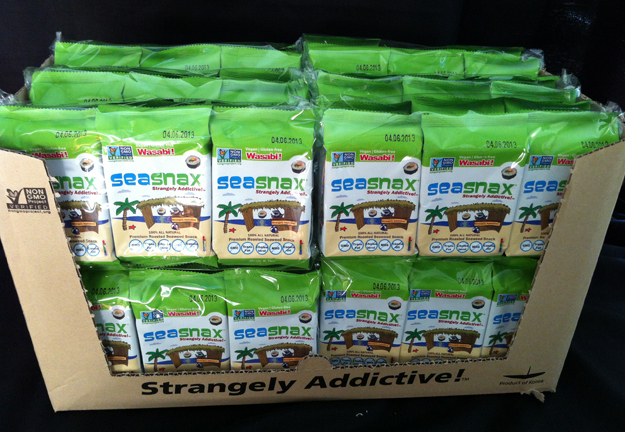 So stock up on SeaSnax Grab & Go and skip the cookies and chips!!! 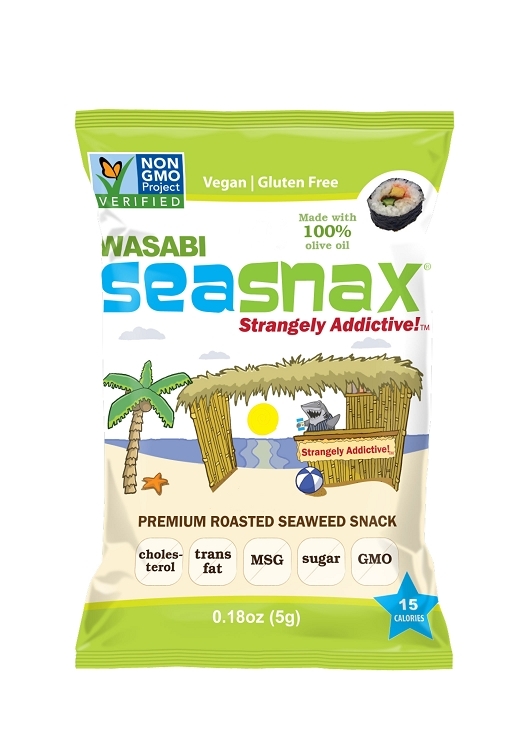 SeaSnax Wasabi is a slightly spicy roasted seaweed snack which is vegan, gluten free, Non-GMO Project Verified and made using 100% olive oil, natural wasabi flavor and just a pinch of sea salt – just four all natural ingredients! There are no artificial colors, flavors or preservatives. Enjoy the familiar taste of wasabi and seaweed in the convenient Grab & Go packs!